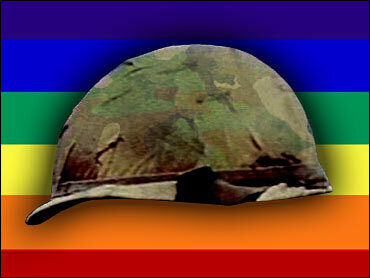 On Friday, the House of Representatives passed a defense bill signaling the beginning of the end to the military’s “Don’t Ask, Don’t Tell” policy banning openly-gay personnel from serving in the military. The defense bill passed by a vote of 229-186 vote, a smaller margin than is typical. Many Republicans and a few Democrats voted against it solely because of its inclusion of the gays in the military provision. House approval of the “Don’t ask, Don’t tell” repeal was a victory for President Obama, who has pledged to change the policy, and for gay-rights groups, which have made it their top priority this year. The bill would give the Pentagon the rest of the year to study the issue before the repeal would take effect. The Senate is expected to take up the defense bill this summer. Supporters of an end to the “Don’t Ask, Don’t Tell” policy are likely to need the votes of 60 of the 100 senators to prevent opponents from blocking it. Sen. Carl Levin, D-Mich., chairman of the Senate Armed Services Committee and a chief backer of changing the law, said at a news conference Friday most senators support ending the gay ban. By ending its ban on allowing openly-gay service members, the United States would actually be joining a long list of many of our allies that already allow such service. I have placed a PDF of a study conducted by the University of Santa Barbara’s Palm Center for Sound Public Policy in the Box which shows the countries allowing openly-gay service members. This list is current as of June 2009, and is entitled CountriesWithoutBan. You can also read more about the house vote here. This entry was posted in Equality, gay rights, Gays in the Military, human rights, Veterans and tagged don't ask don't tell, gays in the military, house of representatives, Obama administration, U.S. military policy. Bookmark the permalink.